Markus and Daniela have been featured in German publication! Happy New Year to all! 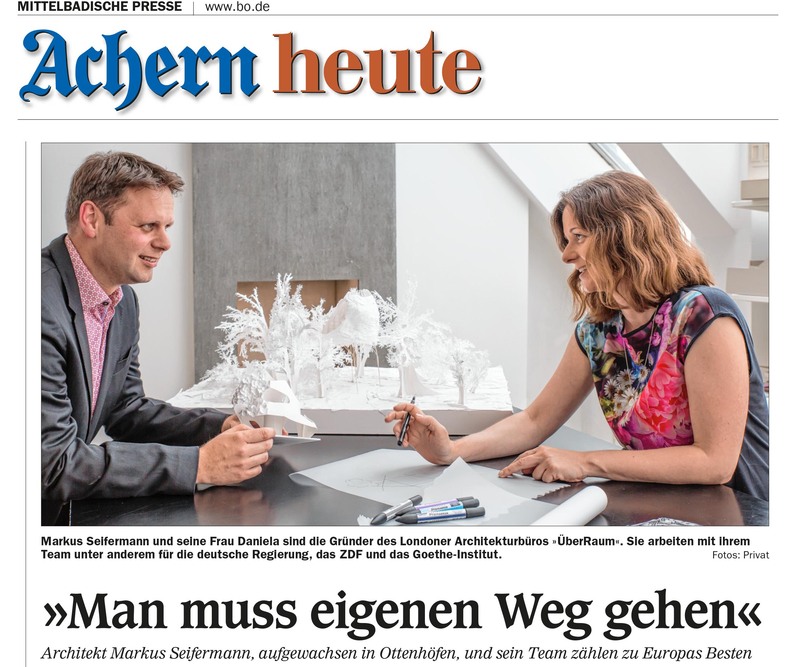 Markus and Daniela have recently been featured in Mittelbadische Presse’s Achern Heute – you can read the article below. 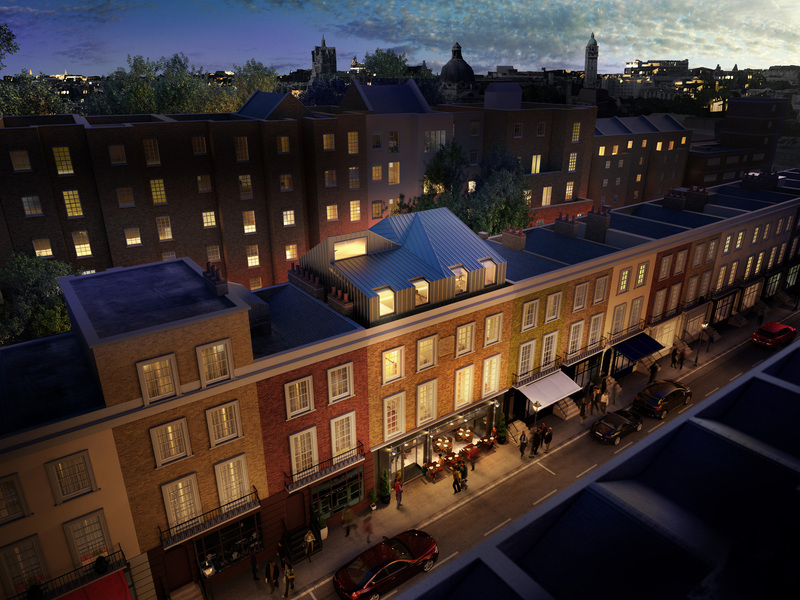 Uber Raum Architects are designing a rooftop extension to a period townhouse building in Kensington & Chelsea, London. The project will create two new homes in a currently disused building, with the rooftop extension forming the top floor of a three-bedroom duplex apartment. The geometry of the extension begins by growing out of the existing building, and respecting the surrounding by climbing no higher than the neighbouring buildings, and folding down at the street edge to reduce visible impact. The window proportions continue the rhythm of the street into the new mansard roof, which is clad in a different material to mark new from existing. The roof folds upwards in the centre, scooping natural light into the kitchen, dining and main living space, and folds down at the rear, enclosing a sheltered terrace at roof level. Click here for the project page.